Michael Jackson IS and will ALWAYS be the undisputed “King of Pop”. However, before the titles, the allegations, courtroom shananigans and NEVERLAND…the world fell in love with the cute little boy from Gary, Indiana whose mature vocals made you believe that he had possibly been here before. It is THAT Michael Jackson, I loved and was obsessed with. It seems like I was in good company. Hard to wrap your brain around for sure, but Oscar nominated director, Spike Lee was also a big fan, and in honor of the 37th year anniversary of “Off The Wall”, Lee takes us behind the scenes of Michael Jackson’s Journey From Motown to Off The Wall. Producer Quincy Jones almost didn’t collaborate with Jackson because the label didn’t feel that a “jazz” musician could produce mainstream music. Michael fought for Quincy and together not only did they make history with “Off The Wall”, but duplicated that success with “Thriller” and “We Are The World”. Jackson often said that he wanted to make “music that has no color”. Ironically, segregation in music was very alive and well when his Grammy wins for Off The Wall were announced during a commercial break. After that grave injustice, Michael was hell-bent on making sure that when his next album was released that there would be no choice but to broadcast THAT live. That next album was “Thriller” and garnered a record number 8 Grammy Awards. “Thriller” is STILL the best-selling album of all time. Baby, when Spike broke out footage from The Jackson 5 on The Ed Sullivan Show, their Saturday morning cartoon, tour footage and interviews from even Michael himself, I couldn’t help but get a little emotional at the fact that I will never hear or see him perform live in this lifetime other than through footage in films and on the internet. I joyously sang along with the clips as I heard many old tunes that brought back some majorly fond memories. My favorite moment was a cut of Eddie Murphy imitating MJ in his stand-up routine singing “She’s Out of My Life”…hilarious!!! That little boy from Gary, Indiana who was considered a “bubble-gum” artist that the industry didn’t think would be accepted as mainstream lived an extraordinary life that could only happen in America. A life that integrated music through channels like MTV and touched the hearts and souls of the world. Michael Jackson continues to influence even artist of today like Usher, The Weekend, Justin Timberlake and the list goes on. It was refreshing to see a project dealing with Michael Jackson that didn’t focus on the negative, but on the legacy that will live on well past all of our existences on this planet. Thank you Spike Lee! Thank you Rod Temperton, Quincy Jones, Greg Phillinganes, George Duke, Carol Bayer Sager, David Foster, Louis Johnson, Phil Upchurch, Randy Jackson, Ben Wright and the hundreds of others who contributed to the making of “Off The Wall”. You contributions have become part of the fabric sewn into the soundtrack of our lives forever. “Off The Wall” was Jackson’s first solo release under Epic Records, the label he would record on until his death roughly 30 years later. 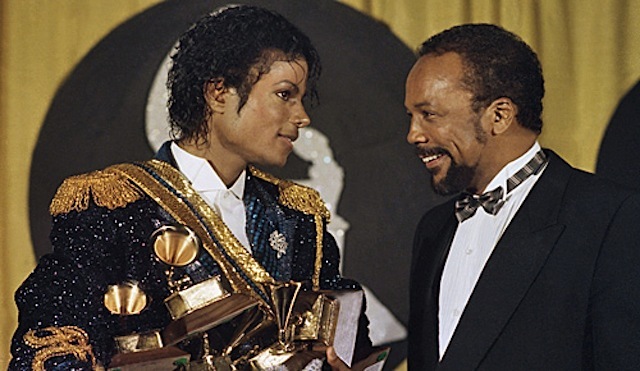 It gained major critical acclaim and Michael Jackson his first Grammy Award. With “Off the Wall”, Jackson became the first solo artist to have four singles from the same album peak inside the top 10 of the Billboard Hot 100. As of 2014, it is certified eight times platinum in the United States and has reportedly sold more than 20 million copies worldwide, making it one of the best-selling albums of all time.